Guy Thing Three Stooges Hoodie - This hoodie is inGuy Thing section under the category of The Three Stooges TV Show. This hoodie features a collection of pictures of each of three stooges from the famous TV show. 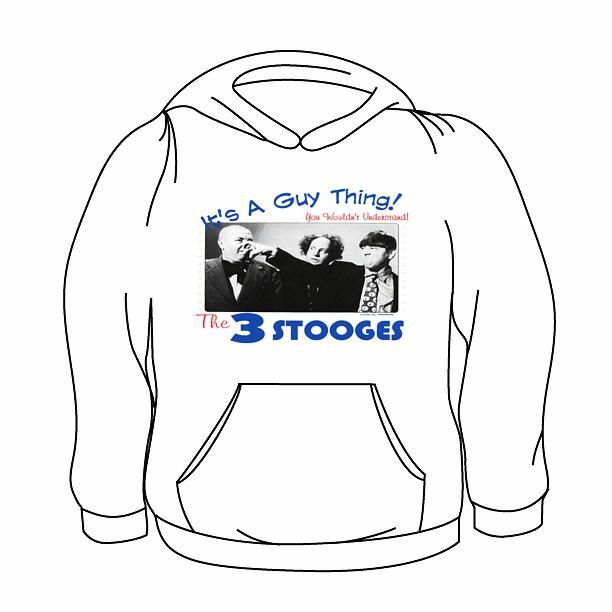 Our Guy Thing Three Stooges Hoodie makes a great gift for anyone who loves this old time tv show. This hoodie is in adult sizes only. Our hoodies featuring this old time tv show are extremely comfortable and these hoodies not only look and feel great, but are made to last. 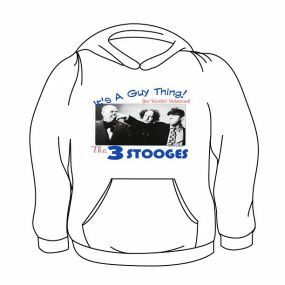 If you have questions regarding our Guy Thing Three Stooges Hoodie or any of our other The Three Stooges TV Show send us an e-mail and include the product name and number.